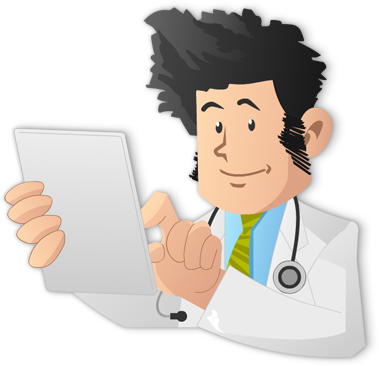 Neurology is a very important part of the Internal Medicine, Family Medicine, and Physician Assistant Board exams and can be challenging at first for many students. 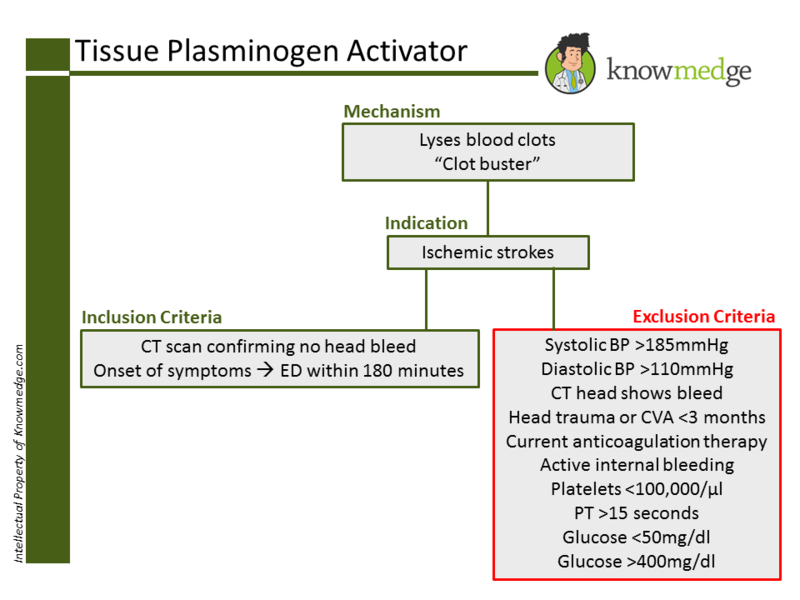 In this post, we will review a few key nuggets that will help you analyze many common patient scenarios. 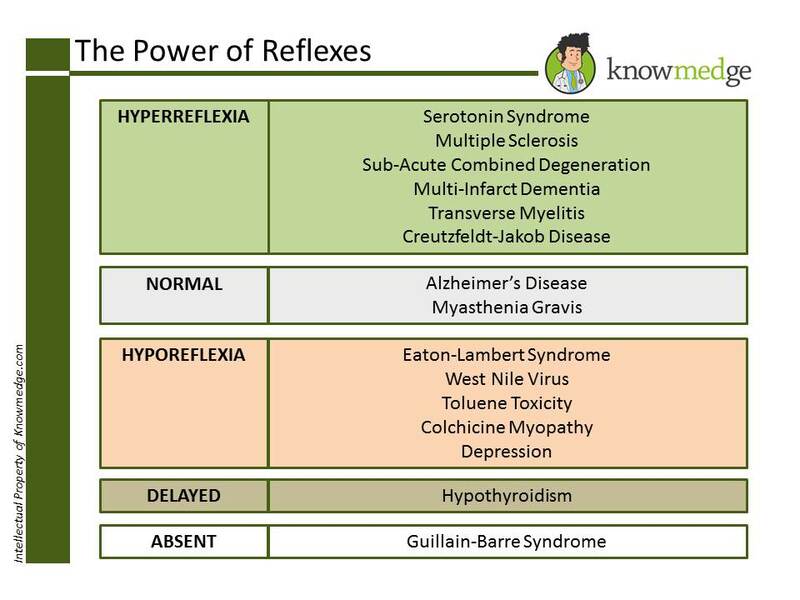 Review the slide below (click to enlarge) for the most high-yield conditions associated with hyperreflexia, normal reflexes, hyporeflexia, and delayed reflexes and absent reflexes. Lack of an ipsilateral adduction to a contralateral gaze is a Medial Longitudinal Fasciculus (MLF) lesion. This condition, which is also known as intranuclear ophthalmoplegia, is seen in patients who have Multiple Sclerosis. In normal individuals, if asked to look the right, the right eye should abduct and the left eye should adduct. If a patient with MS is asked to look to the right (for example), he/she will be able to abduct the right eye but fails to adduct the left eye → Lesion is Left MLF. Same concept applies when asked to look to the left. Normally, the left eye will abduct and the right eye should adduct. In patients with MS, patients lose the ability to adduct the right eye → Lesion is Right MLF. Argyll Robertson Pupil → eyes will be able to constrict when the patient focuses on a near object (eg. bringing fingers to the nose). This is known as accommodation. However, patients with an Argyll Robertson pupil lose the ability to constrict the eyes when bright light is shined into their eyes. In a nutshell, the eyes can’t react to light but can accommodate. This condition is often seen in patients with syphilis. Marcus Gunn Pupil → This condition is also known as Relative Afferent Pupillary Defect (RAPD). In normal individuals, when a swinging flashlight test is performed, both the direct and consensual eye should constrict to light. With Marcus Gunn pupil, let’s suppose the left eye is affected. If light is shined into the right eye, both the direct and consensual will constrict. When light is shined into the left eye, both the direct and consensual eye will seem dilated (lack of constriction) → Shows damage to the ipsilateral optic nerve. 3. Know the indications and contraindications of use of t-PA.
4. Identifying buzzwords is key for selecting the correct neurological diagnosis when CT/MRI findings are included in the vignette. Multiple Sclerosis → increased T2 signal and decreased T1 signal. There will be increased enhancement of active lesions with gadolinium. Multi-infarct dementia → multiple hypo-dense areas without enhancement. 5. 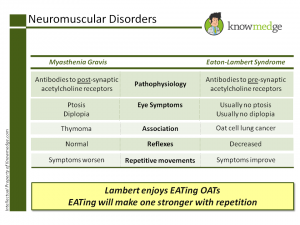 Differentiating Myasthenia Gravis and Eaton-Lambert Syndrome can seem challenging at first. That’s why they’re on the ABIM. 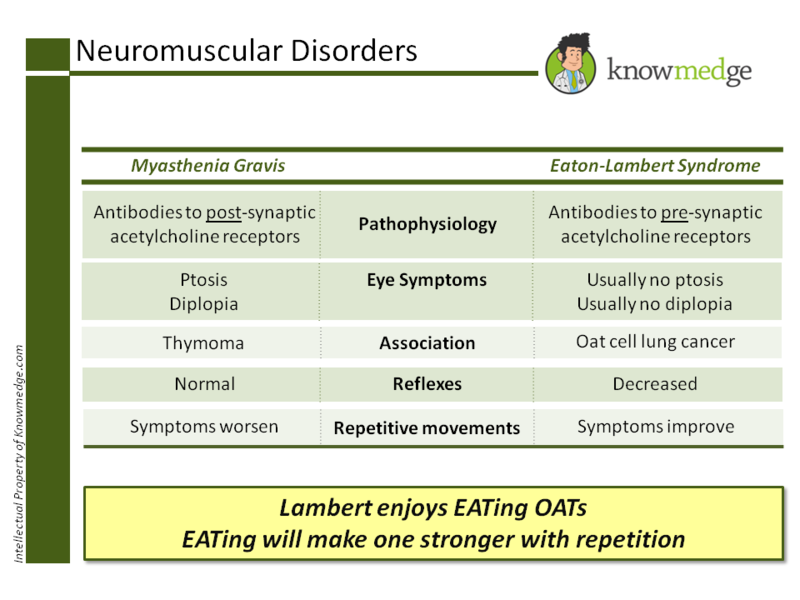 Ever find yourself second-guessing whether it’s Eaton-Lambert or Myasthenia Gravis that improves with repetitive movements? And, which one is associated with thymoma? 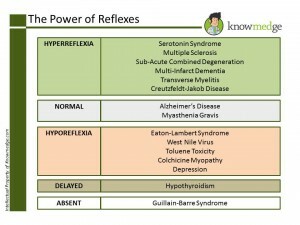 Before letting your head spin or do cartwheels, take a few minutes to learn the difference between these two neuromuscular disorders. The concise yet useful categorization will make it difficult to get the two mixed up. Once again, the folks who write the Internal Medicine med school clerkship shelf and ABIM board exams don’t expect you to have the depth of knowledge regarding neurological conditions that a neurologist possesses. 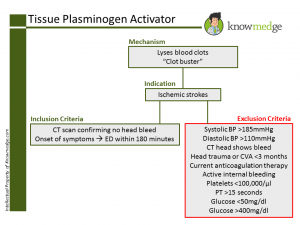 However, topics such as the ones mentioned in the slides and pearls above should assist you with the neurology section of these exams.